Where are the Pet Vendors? How do I equip my pet? 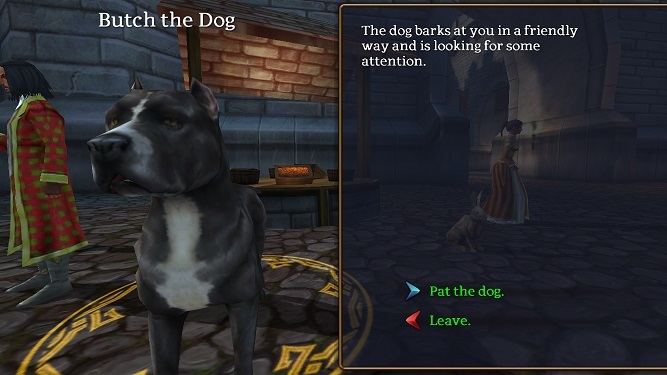 Why isn't my pet showing? Dogs will only eat dog food, and rabbits will only eat rabbit food, etc. Watch what level pet food your pet needs as it grows. 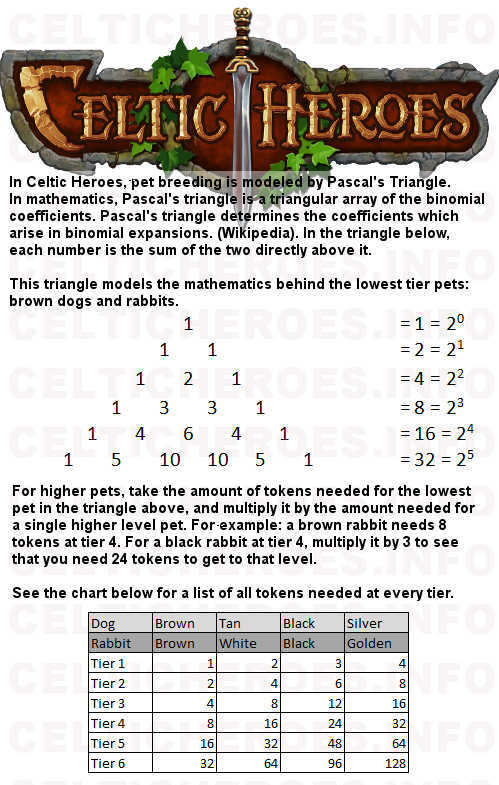 Level 6 pets will only eat level 6 food, level 5 pets will only eat level 5 food, etc. How do I upgrade a pet? Trade 2 pets of the same level to Elva the Pet Breeder to upgrade your pet. Be Careful! 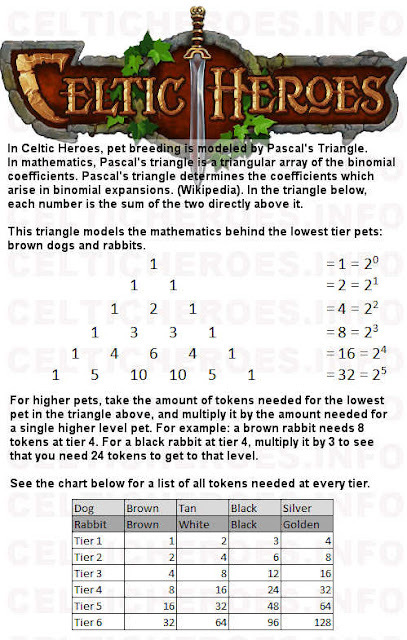 Pets have a level requirement. Don't upgrade them past your level or you won't be able to equip them. 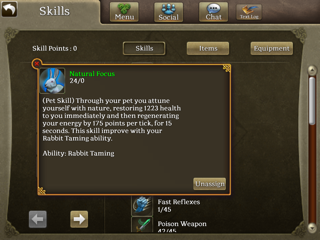 What stats and skills do my pets give me? 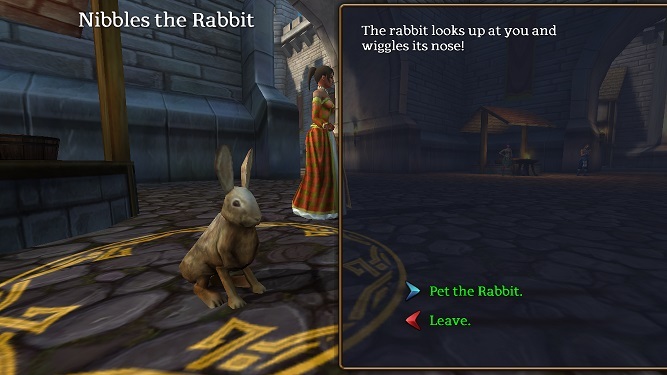 Get the Dog/Rabbit Training skill by completing the "Talk to the Animals" quest given by Druid Robena. 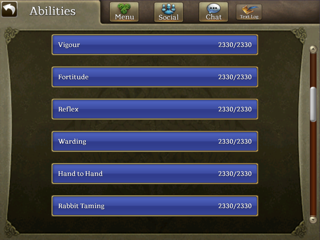 For example, what's the best heal my rabbit can give?